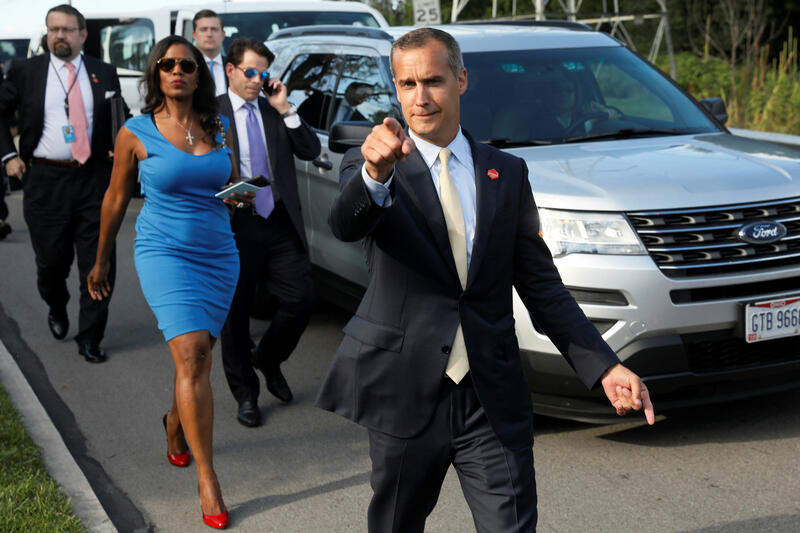 Corey Lewandowski, who served as Donald Trump's first campaign manager in the 2016 race, threatened and intimidated his neighbors in Windham, New Hampshire, according to The Daily Beast. Last month, Lewandowski filed a $5 million lawsuit against his neighbors, Glenn and Irene Schwartz, claiming that they blocked access to one of his properties, the report said. The couple then filed a countersuit last week regarding the empty property, a campsite, which Lewandowski bought. In 2015, the report said that Lewandowski offered his neighbors a "land swap" for the property as long as he'd have access to it. The neighbors, however, said that Lewandowski eventually made clear he planned to build a six-car garage on the property, the report says. The neighbors, meanwhile, were building a house and they had electricity lines run over the campsite property for it and the report says Lewandowski parked his pickup truck to block the power line, which cut off electricity to their construction site. "On more than one occasion Lewandowski came out of his home carrying a baseball bat while Irene Schwartz was on her property seemingly as a threatening and intimidating gesture," the countersuit says, according to the report. Lewandowski also threatened to make his neighbors' life a "nightmare." "This is a small town," Lewandowski allegedly yelled over the phone, the report said, threatening to "shut down all building and work and make your life a nightmare with an expensive and extended lawsuit." Last year, Lewandowski was charged with battery after grabbing the arm earlier in the month of then-Breitbart reporter Michelle Fields at a Trump press conference.